Over the course of studying for my PT cert, I learned about several major diseases that affect Americans and how many of them can be prevented or at least modified. 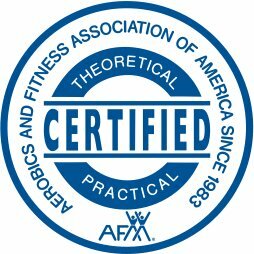 And how my role as a PT is not just to “whip” someone in to shape, but to teach people to be pro-active about their well-being. Which is so much more important than how many bicep curls you can do. Coronary Heart Disease = leading cause in death in U.S. and most of developed world. So strokes, heart attacks, & hypertension. Cancer = Just a few short years ago, the American Cancer Society suggested that 1/3 of the 570,280 cancer deaths to occur were related to nutrition, physical inactivity, & obesity. So they could have been prevented. In short, 2/3’s of all cancers are preventable. So cancers like lung, breast cancer, colon cancer, cancer of pancreas, skin cancer, liver cancer – all have risk factors that can be avoided. Diabetes = National Center for Chronic Disease Prevention and Health Promotion says 23.6 million Americans have diabetes (8%) of which those 8%, 90-95% are type 2. Meaning their body does produce insulin but has a high tolerance to it. It used to be called adult-onset, but more and more children are developing type 2. Physical activity and exercise help improve a person’s insulin sensitivity, in turn making it easier for our bodies to utilize the glucose. Obesity is also another major cause of type 2 diabetes. COPD = 80-90% of individuals suffering from COPD are caused by cigarette smoking. Totally preventable. Those numbers were a little sobering to read. Most of which can be controlled and maybe prevented by things like diet, exercise controlling obesity & stress, and avoiding smoking. Now yes, there are intrinsic risk factors that we can’t change RIGHT this second. But the above suggestions are things we can take control of. Something else that is really crazy…a sedentary lifestyle is characterized as anything less than 30 minutes a day/3 times a week/3 months or less. Basically meaning, if you can’t find time for low-moderate (3.0 speed on a treadmill) intensity workouts 30 minutes a day, at least 3 times a week, you are sedentary. And guess what? That’s a risk factor for CHD. So by adding 1.5 hours A WEEK of low-moderate intensity exercise, you are eliminating a risk factor. 1.5 hours a week…that is seriously not hard. A huge misconception is people think exercise has to be painful. Like I said above, low-moderate intensity is classified as a speed of 3.0 on a treadmill. Leave the ‘no pain, no gain’ mindset for the elite. 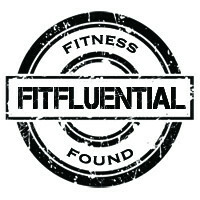 Work within your level of fitness and you will start seeing results and eliminating your chances for disease. My passion is seeing people live their lives happy and healthy. I want to help people become and stay pro-active about their well-being. 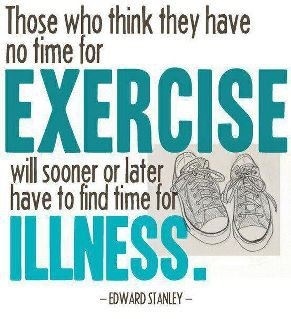 The above quote is SO true…ignore eating healthy and exercise today and pay for the illness later. Or slowly start turning those positive risk factors in to negatives. Disclaimer: I am NOT a health specialist. These are all facts obtained by my own research and studying. Consult with your Dr. if you have questions regarding positive risk factors for above diseases.